Every team has it's star players and your skin care regimen is no different. Two of Avon's newest skincare breakthroughs can be that star player on your skin care team, and used together they become a true power team. Take your anti-aging routine to the next level. 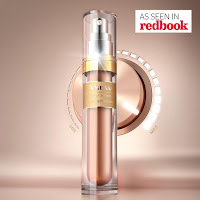 Avon's skincare lab took inspiration from Nobel prize-winning research and designed a serum that detects specific visible damage and delivers maximized results when and where you need it. 93% of women who expressed an opinion in a consumer-perception study agree it dramatically improves skin's overall appearance. I've been using it myself since it was introduced last summer and not only see an improvement in the look of my skin, but also the texture. 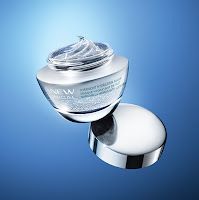 The Power Serum provides improved hydration, texture, radiance, firmness and lines and wrinkles are diminished. Applied daily on clean, dry skin in the morning and evening before your regular moisturizer, it is easily absorbed in skin so it fits in easily with your existing regimen. Power Serum delivers a high concentration of active ingredients and can boost the benefits of your moisturizers. In consumer perception studies, the ultra-lightweight gel, formulated with encapsulated hyaluronic acid and shea butter beads, deeply replenished lost moisture and replumped the look of skin. Use the Overnight Hydration Mask 3 times a week alone or over your favorite night cream or serum. Unlike many masks the Overnight Hydration Mask absorbs into the skin with only the slightest feel of a mask. It's very comfortable and will not stain your pillow. In the morning your skin looks dramatically hydrated. What is the best skin care regimen for visible pores?